A few pics of my xr4i I use daily whatever the weather. Very nice Paul do I spy my old welded inlet manifold ???? Hi Gerry, how's things? yes that's your old welded in lnlet and plenium also TB housing is bigger diameter, all to get as much air through those swaymar heads, I do wonder if I can get more power if I go to carb and a longer duration cam instead of the short duration injection cam but its a lot of work to justify if its only worth 10 or 15 bhp and will it drive as smooth at low revs? Hi thought it was !! yes a lot of work for those extra hp , you would really need dyno run before and after to see for sure , not sure about carbs tho , I would have thought to get the best from it , would be emerald or similar ECU change injectors to electric items and a trigger wheel on crank so you can map the best out of it , a load of work then !!!!! you would prob get those extra hp +more . my car done a piston so been off road since may , made my mind up it going to fieldmotorsport to be rebuilt with low comp pistons . Hi Gerry, yes for what use it gets it would be a lot of expense for maybe 10bhp or so, I can't see drivability changing much as it drives smooth and pulls in all gears without flat spots as it is, I was toying with the idea of going to carb so I could run a longer duration cam say 290-300 deg. That's a bugger about your engine, that happened to me with that turbo engine I bought off you, the ring lands collapsed and the piston let go, it didn't damage the bore so I was able to rebuild it but I never trusted it not to let go again and didn't want to go to the expense of forged pistons so sold it on and put the 3.2lt back in, hope all goes well with your rebuild. Cheers Ade, how's that engine of yours coming along? I'm over your way this sunday to see my cousin are you about mate? Getting closer , I may heading over to Graham's to do some on it but I'm not sure what time yet. I will let you know mate. Ok Ade, no worries, also off the top of your head would you happen to have a lens for a o/s front fog light, mine dropped out and smashed I've stuck a n/s lens in for now but the indicator doesn't locate properly now. I may have , it's a spare for mine but you can borrow it for sure. Let me know if your about tomorrow. Hi paul it wasn't the ring lands, it cracked from g/pin to g/pin what I thought was det was in fact little end rattle on number 6 there pics on here somewhere under 24v engine or turbo ! fieldmotorsport is going to rebuild my engine with low comp pistons . Was sure I'd already commented here but guess not? 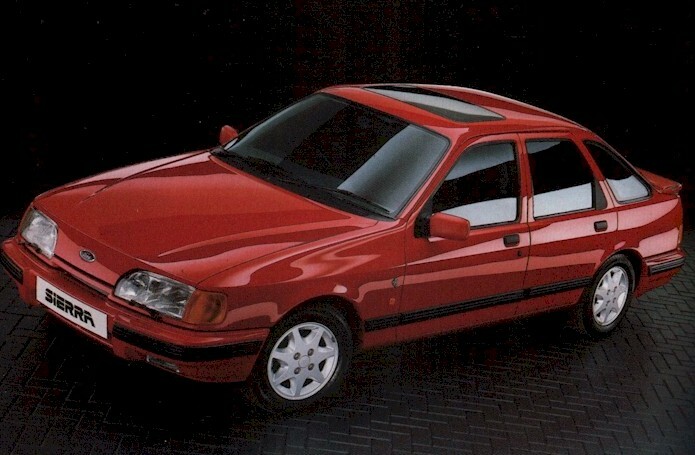 It is a very nice XR4i you have, liking that a lot. I'm totally 50/50 on the split window, XR4i is/was a scratch I never itched, but yours is swaying me! I've always been really into the Andy Rouse XR4Ti, love that beast. A bloke on the sierra forum had a good looking replica of it somewhere.